Indonesia is a massive market yet to be explored which Papua New Guinea Minister for Trade Commerce and Industry Richard Maru is determined to make full use of in 2016. In his plans to grow trade between the two countries, Mr Maru will organise a delegation to visit West Papua in the New Year to look at business opportunities and then hold a major trade fair in the West Papua Province. "We’ll initially go in, meet the Government out there, rub shoulders, and look at the opportunities for us to do business and then I want to lead the private sector delegation into West Papua. "We want to look at what goods we can bring over from PNG and what goods we can bring over from there. "I’m told they want PNG hard biscuit, Twisties, Coca -Cola, Ox & Palm, water tanks; there are a lot of goods that they want from us," he said. Minister Maru noted more Papua New Guineans going into the country to buy cheap goods in a one way trade which has seen PNG spending over K1 million importing from Indonesia. "But our goods are not going the other way. We must now target exporting our goods into their country; it’s a market we’ve never tried out and is a market that we need to look at as a country. "That’s going to be a new exciting destination for PNG, especially to export. 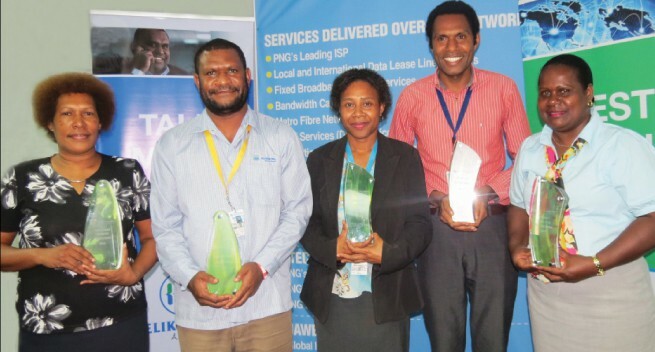 He said not only that, if there is a way to encourage some PNG firms to establish operations there, than we should look at that opportunity as well. "We must never forget they have over 100 million people, it’s a huge market. Let’s start aggressively targeting that market.